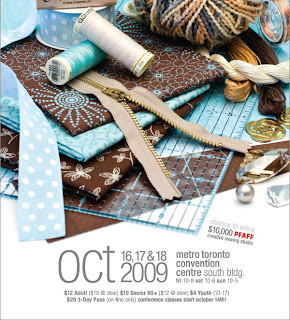 Craftin' Caro: Pre-order your tickets for the Creativ Festival Fall show! Pre-order your tickets for the Creativ Festival Fall show! The Creativ Festival will be back this fall on October 16-18 at the Metro Convention Center and I'm looking forward to exhibiting there once again. Click here to purchase your tickets online and use promo code 145SU. Buying your ticket ahead of time not only saves you money but of course means you don't need to line up to get them! I'll once again be doing demos, M&T's and will have fabulous sample boards and retired product for you to pick up. And if you're lucky, "Big Shot" Brent will be back with more wacky die-cutting antics up his sleeve. Hope to see you there! I can't wait for the Creativ Festival. I go every fall!